Are you hot and bothered? Trying to keep cool in the conservatory? Spring is here and the weather is getting warmer. BUT – heat & glare through your windows can really ruin the experience. 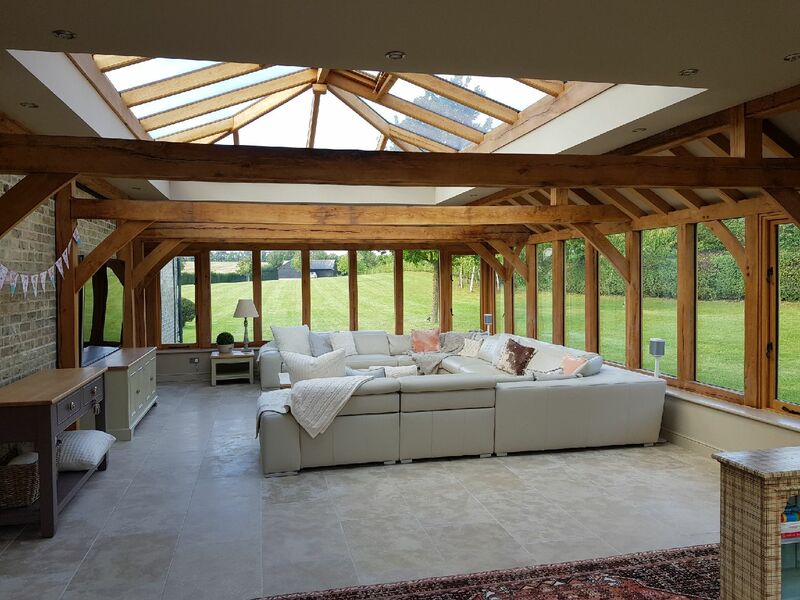 If you have a conservatory, large picture windows, patio doors, a south-facing aspect or are just lucky enough to live somewhere that gets more than its fair share of the sunshine – you’ll know that it does have its draw-backs. 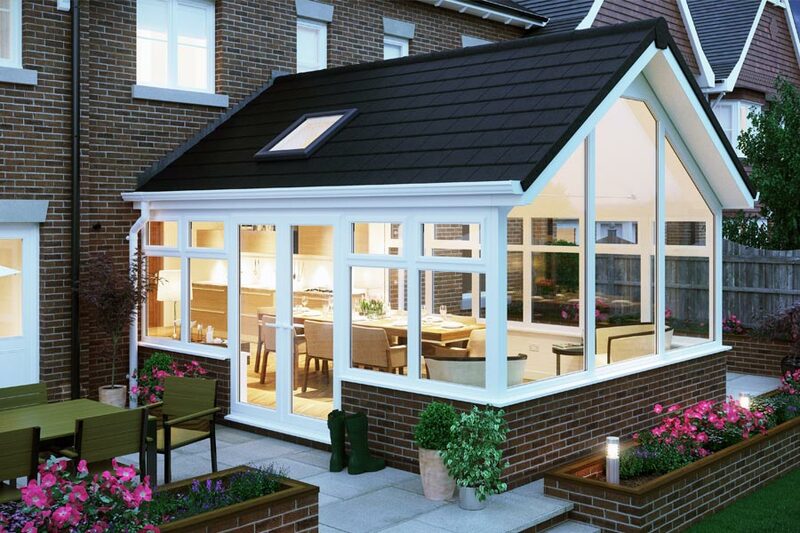 During the spring and summer months glare and brightness can make using your conservatory or garden room unbearable. Sun shines through the glass in your windows getting into your eyes and rendering TV, tablets, phones and computer screens completely useless. 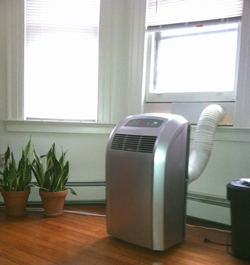 The associated heat – trapped inside your home – can be unbearable. Instead of providing a haven of glorious natural daylight your lovely glazed conservatory becomes inhospitable and extremely uncomfortable. On top of all this the UV rays streaming into your home can harm fabrics, flooring and soft furnishings. So – what can you do to fix the problem? Here are some ways to manage the negative effects of the sun through your windows – particularly in conservatories – allowing you to make the most of the sunshine in comfort. An obvious solution maybe – but blinds can be a great addition and add a nice finishing touch to your glazed extension. But getting it right is not always easy, or cheap or even that effective. Of course if you opt for fine or coloured (often expensive) fabrics they are liable to damage and to fade. All because of the strength of the sun. And blinds don’t stop the heat. You may have to open some windows for ventilation. 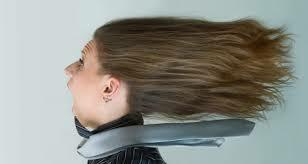 Venetian blinds end up getting blown all over the place with the slightest breath of wind – and yet the room can still be stuffy and hot – and in the shade! To be honest having to keep the blinds pulled right down in order to bear being in the room is not a practical solution at all. Blinds then are good – but no cigar. It guarantees a constant temperature when things outside start heating up. It is far-and-away the best for keeping cool in the conservatory. BUT- there is a big financial drawback – along with physical and cosmetic issues with this approach. Even a small-scale installation of AirCon can cost a packet. And then there’s the cost of running it – not very Eco-friendly – and potentially pretty noisy too. Portable air conditioning is another option. Cheaper. No installation needed. But where do you keep the big ugly box the rest of the year? The biggest drawback of air con is it doesn’t address the issue of glare at all. 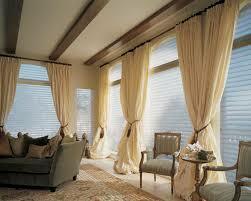 To tackle that you’d need consider an additional solution – which could mean installing blinds as well! Yep. Crazy as it sounds. Filling in your lovely glazed roof might actually be a big help. Although they can look stunning, in reality an all-glass roof is maybe not practical. So, replacing the glass with other traditional roofing materials that don’t let the light through reduces the heat and glare issues. It’s a sort of backwards step and means you don’t have the desired sky-gazing ceiling – and of course there is the cost. Also, re-roofing does nothing to address any problems you may get with lower glazed areas. The windows and doors will still be at the mercy of the elements – meaning we’re back to having to use blinds, and/or AirCon, or something again. If you’re looking to make things a little cooler you can use fans. They do work a bit. But – let’s be honest – it’s not a great help and really feels like a pretty poor after thought. If the air gets too hot you’re basically just blowing hot air around. And of course the hotter it is the stronger setting you need on the fan. It makes the room more like a wind tunnel and a noisy one at that. Like air con, they are intrusive, can be ugly, and need to be stored in the winter months. Of course – fans have absolutely no impact on glare. Why not consider window film? It can cut out heat and glare by up to 80%. It’s relatively economical to install, with little disruption or impact on the existing room. Hi-Tech Window Film, professionally installed, prevents the transference of heat through your glass so stops the room heating up in the first place. So – there’s no need to cool it down! As an added bonus window film is not just useful in the warmer months. It can help to insulate too. In the same way it manages to keep the sun’s heat outside when things get hot – it can keep the warmth in when it’s getting cold outside – meaning you should be able to use the room for much more of the year – without having to put the heating on. Window film pretty much completely eliminates harmful UV too. Window film – all-round champion and the best solution by far. Durable have been in the window film business for over 50 years. We are experts on solar control.